Highlights from the fourth Tales of Asia talk on Saigon and Hanoi, at the Marine Parade Public Library, Singapore on 8 November 2015 are here. Rue Catinat in the 1930s, with the Hotel Continental at right. 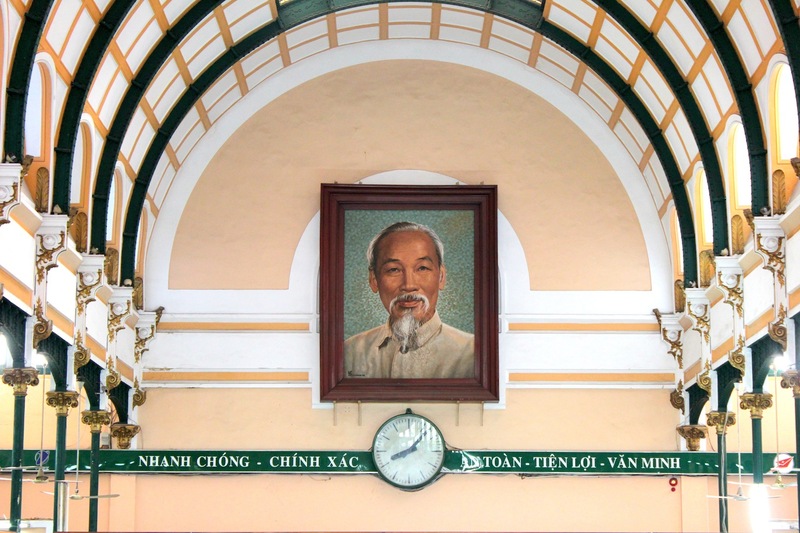 Part IV of Tales of Asia features the cities of Saigon (today’s Ho Chi Minh City) and Hanoi, capitals of French Indochina in the late 1800s and early 1900s, and the most dynamic cities in today’s Vietnam. Take a guided tour through the French colonial architecture of Old Town Saigon, uncovering what remains today from the French era, what remains unchanged and what has changed drastically. 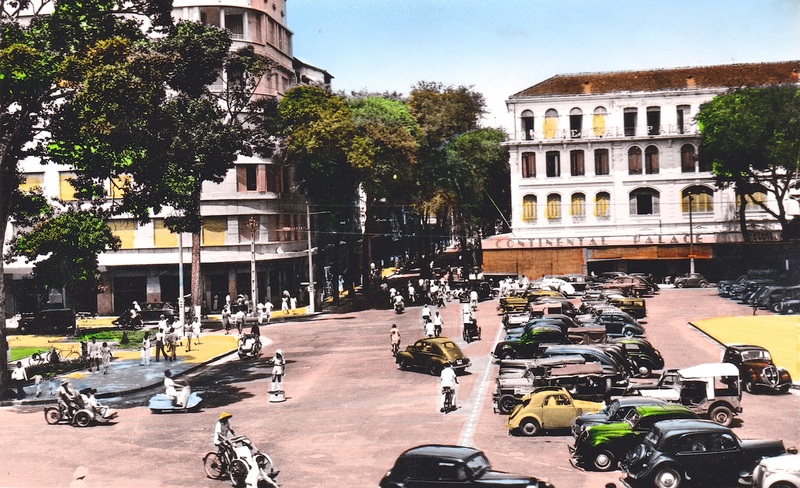 Explore la Rue Catinat in Saigon – the Orchard Road and Champs Élysées of the 1900s – 1950s, with its fashionable cafés, boutiques and specialty delicatessen. 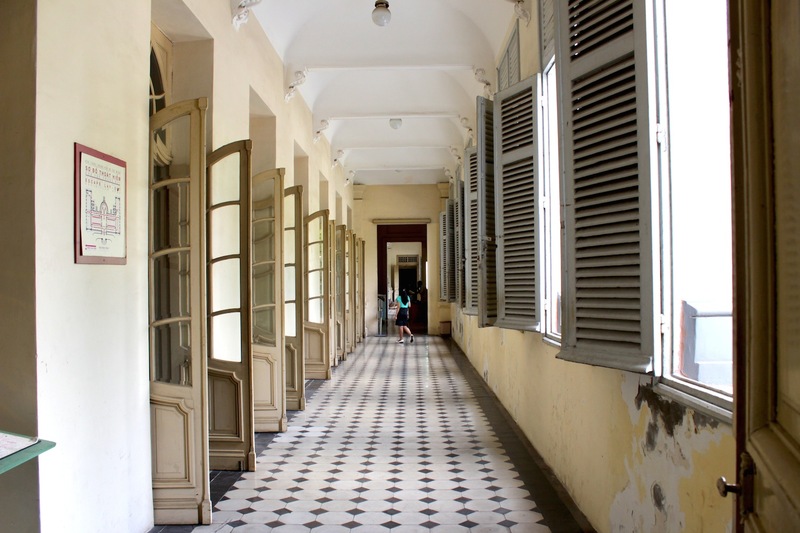 Peer into the lives of the French in Saigon. Explore the Sino-Vietnamese heritage of Old Town Hanoi (河內), including Hoan Kiem Lake (湖還劍) the former Imperial Citadel of Thang Long, the Temple of Literature (文廟), and the 36 Streets (三十六行). Take a pleasant wander through the French quarter of Hanoi, ending off at la Terrasse of the splendid Hôtel Métropole. 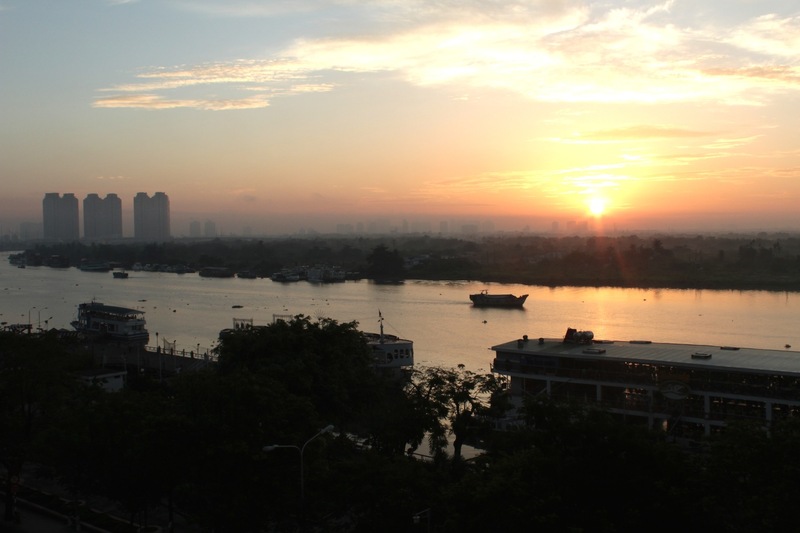 Dawn over the Saigon River – view from my balcony at the Hotel Majestic. 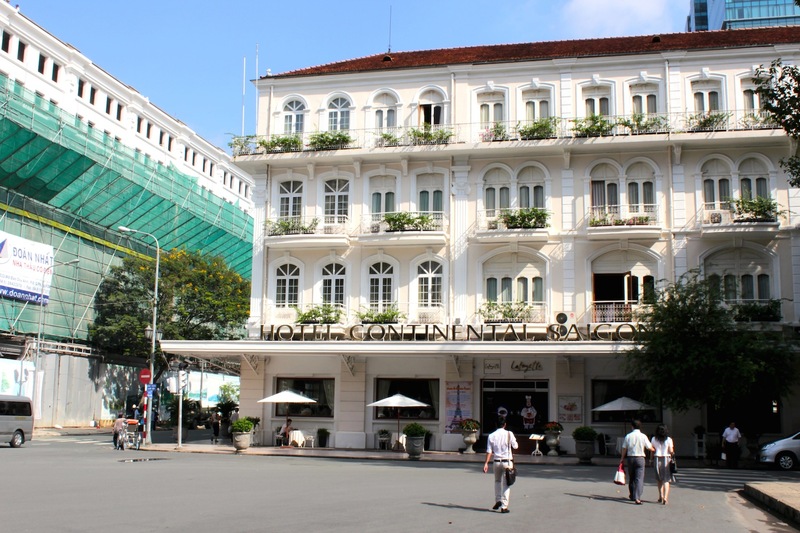 ✑ A promenade down Rue Catinat, ancien Champs Elysées of Saigon, and the backdrop of many a memorable scene from the Vietnam War. This street has the city’s most important monuments, including the former Opera House, the Notre-Dame Cathedral, and the City Hall. ✑ Rue Catinat and its environs also plays host to all the city’s famous grand hotels. Stop for a cup of tea at the outdoor terrasse of Hotel Continental, to pay homage to Somerset Maugham, circa 1929. Head to the rooftop bar at Hotel Majestic for an aperitif to pay homage to Graham Greene, circa 1950 and to take in the spectacular views of the Saigon River. 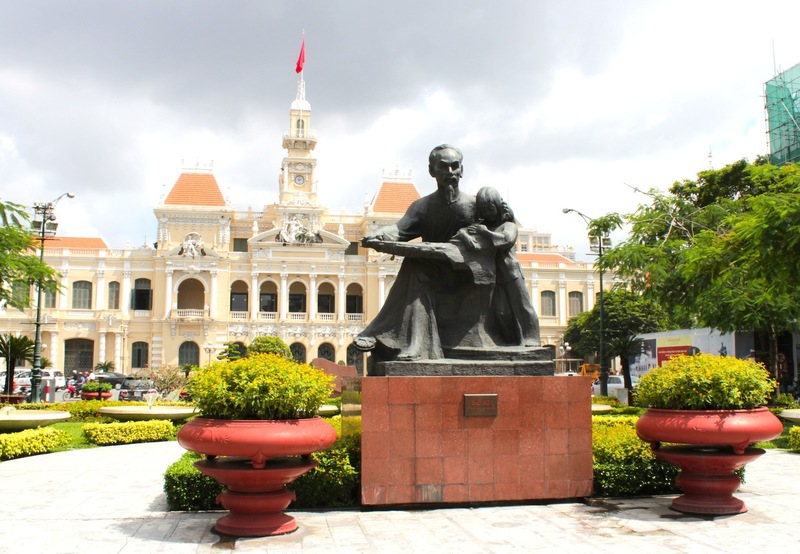 ✑ Pay a visit to the Ho Chi Minh City Museum, to soak in the delicious period atmosphere of the building – this was the former residence of the Governor of Cochinchina. The exhibitions and displays themselves are rather more propagandistic in nature, but also make for an educational experience. ✑ Have a meal at Quan An Ngon, a chain of Vietnamese street food restaurants that occupy French colonial buildings. These are immensely popular with the locals and the local fare served there, though pricey by local standards, is delicious. 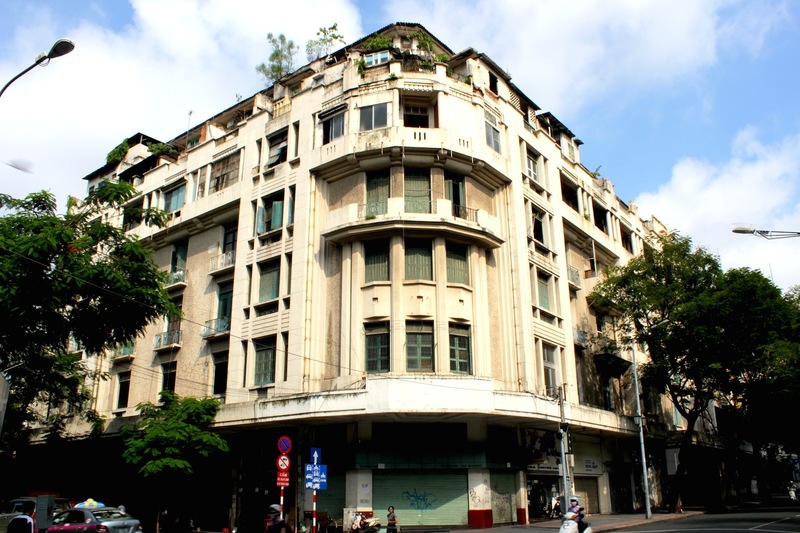 ✑ Visit Cholon – Saigon’s Chinatown, to luxuriate in the sensuous atmosphere described in Marguerite Duras’ novel, The Lover. Old Saigon typifies the “ROMANCE” in Romance of the Grand Tour, particularly in the early mornings and late evenings, when the streets are devoid of those pesky motorbikes, and one is transported back a hundred years to L’Indochine Française. The beaming visage of Comrade Ho at the General Post Office building. Statue of Comrade Ho before the former City Hall Building. The Hotel Continental, on Rue Catinat. Colonial era apartments on rue Catinat. 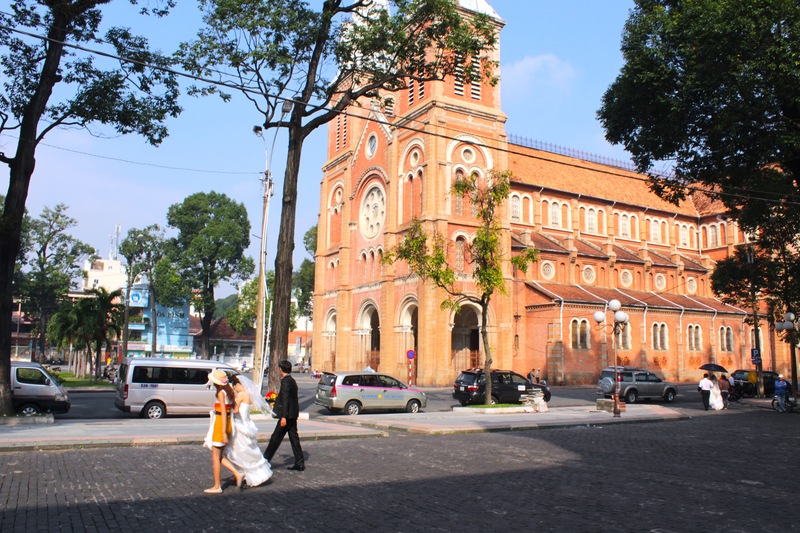 Notre Dame Cathedral, Saigon, and a par of newly weds. The Ho Chi Minh City Museum was the former residence of the Governor of Cochinchina. 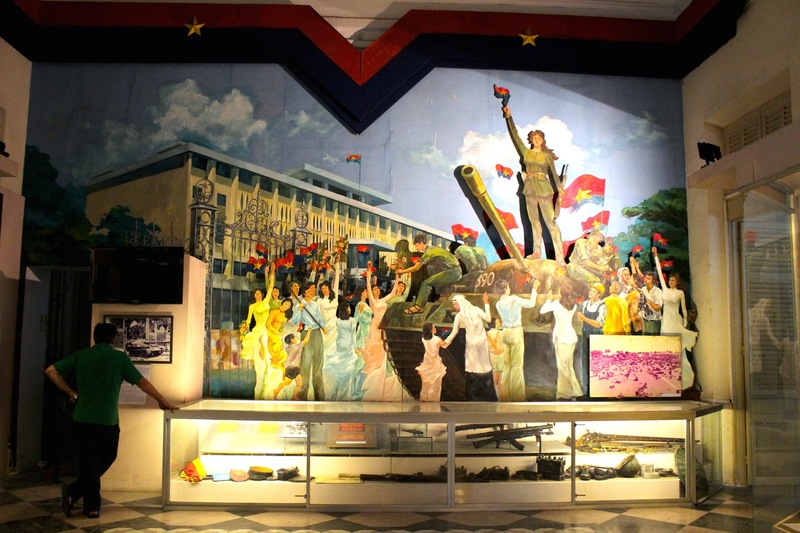 Miss Saigon, in the Ho Chi Minh City Museum. 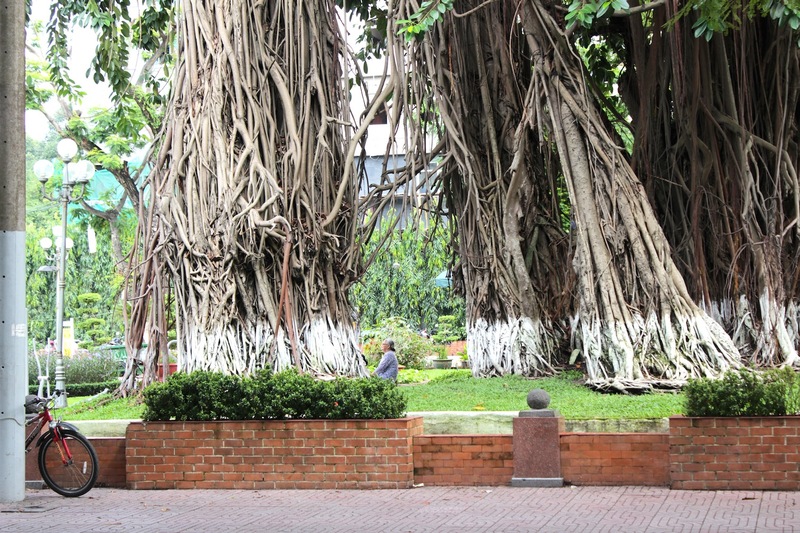 A moment of silence – an old lady sits amidst the ancient banyans, contemplating the past and the future.